Disease is defined as a disorder of structure or function in an organism, which produces specific signs or symptoms and is not simply a direct result of physical injury. In scleractinian corals, as in all other organisms, diseased individuals show morphologically distinct lesions, which manifest themselves in alterations of colour, shape, size, or texture. Coral diseases are routinely described by macroscopic signs, with notes on the extent of tissue loss, tissue colour, and exposure of coral skeleton aiding in the nomenclature and diagnosis. However, despite their reported significance in reefs around the world, the aetiologies of the majority of diseases are still unknown and coral epidemiology remains poorly understood. The majority of published literature suggests numerous microorganisms are capable of causing coral disease, including bacteria, viruses, fungi, and protozoa. That said, the initial trigger for disease is often recorded as being abiotic factors such as temperature, UV exposure, pollution (such as heavy metals, and agricultural chemicals) or predation scars, for example. Coral diseases have been shown to be prevalent on both well-managed (for example marine protected areas) and unmanaged reefs alike. Despite the serious negative implications associated with coral disease, not all geographic areas are as well documented as others. 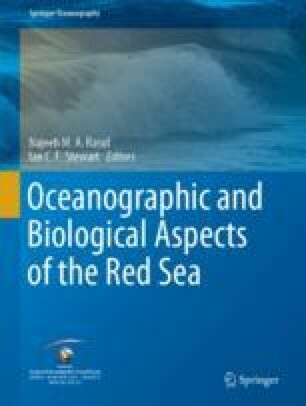 For example, diseases affecting corals throughout the Red Sea are one of the least well explored and documented. Here we sum up the current knowledge of the diseases described on the reefs in this area and give a brief background into what is currently known about the cause of such diseases.